I've been aiming for the 28th. of each month blog about what I've been reading, but this month I spent the 28th. on a beach watching grey seals, a whole long squad of them on a sandspit. They roll and wallop along on the sand, occasionally squabbling clumsily, sometimes slipping into the water to cross the estuary and come to take a closer look at the idiots watching them, and all the time they keep up a collective keening like the wind down a chimney on a stormy night. The beach is great, a real mixture of fine steep sand nibbled by the waves, streeling seaweed, and areas grey as moonrock where everything is covered in the densest crusting of barnacles. It's been a pretty mixed month and I've waited till the last moment to decide which authors to go for this time. I've been reading books by David Haynes, David Hadley, Pamela Kelt, Benjamin Black, Fred Vargas, and others, as well as trying to devour factual books as research for my own next book. However, I've finally made my selection, though this one is going to be quick! 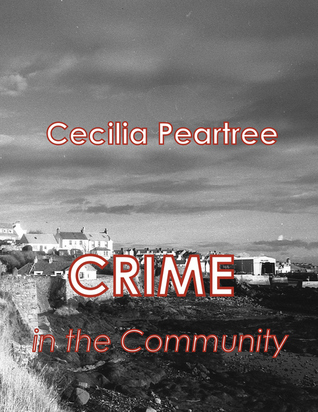 Cecilia Peartree writes the Pitkirthly series set in a small town in Fife where the death rate is preternaturally high and all cases are investigated by semi-retired spy Amaryllis Peebles with her spiky red hair and the slow but stubborn Christopher, archivist at the Cultural Centre. They are constantly assisted and confused by their group of actively retired friends and a couple of dogs in a manner that frequently makes me laugh out loud, particularly in their dealings with the local police and scones. 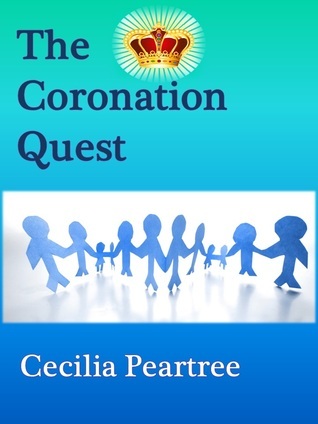 Cecilia Peartree also writes the Adventurous Quests series set in the 1950s, starring Flora and Oliver Quest, both marked by their experiences in the war, and his mathematically-talented sister Clemency. This series has a different charm: in both the settings are very realistic, with a real feel for the 1950s period in the Quest series, but I think Pitkirthly's characters draw me in more with their daft fixations and rituals. When I saw there was a new one last week I instantly clicked on it and have already finished it: The Pitkirthly Triangle is just as good as the rest! In both series it's worth checking every now and again to see the book covers - they often change! 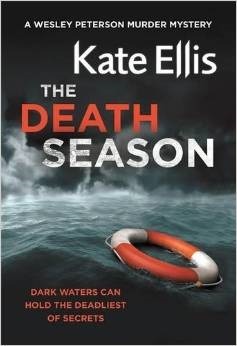 Kate Ellis is my mainstream crime author this month. She's the author of the long-running (yet mysteriously still not televised) Wesley Peterson series set in Devon. Wesley Peterson is a black policeman in a very white world, married to a teacher and with a high-achieving medical family who do not always quite understand why he chose his career. His degree is in archaeology and there is a strong archaeological element to each plot, always appealing to me. That she has managed to sustain this through so many books is a tribute to her strong characterisation of her leading figures who are, at heart, fairly ordinary, but very sympathetic and believable. I particularly like his boss, overweight, amiable choral singer Gerry. 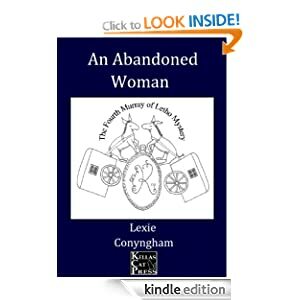 These books are very much an observation of how ordinary people work together in life. They can be read out of order: the most recent I've read is The Death Season, where the death of a child ten years before is woven into a Great War diary, and the odd behaviour of Wesley's wife's new friend is linked with the plot, but not in the way I expected! A jellyfish flower on the beach.